E-mail Cynthia Cirile with questions! Never before seen documents in the hand of Frances Sargent Osgood, virtually proving that Edgar Allan Poe was the father of Osgood's love child, Fanny Fay Osgood. These documents were first found by Thomas O. Mabbott in 1954, and annotated by him, but have not seen the light of day until now. 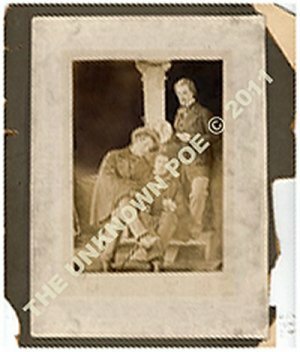 The Myth of Sissy - Poe's child-wife Virginia has been perceived as a sickly little waif, too ill to even sit for a portrait! The myth that the only portrait of Virginia, a.k.a. 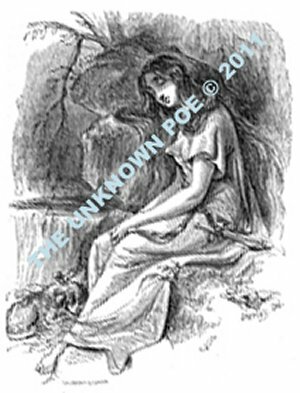 Sissy, was taken on her deathbed is a standard myth in Poe biographies. It's not true. For the first time we see oil paintings of Virginia by Thomas Sully, numerous drawings, as well as what may well be the first photograph of Virginia Poe! 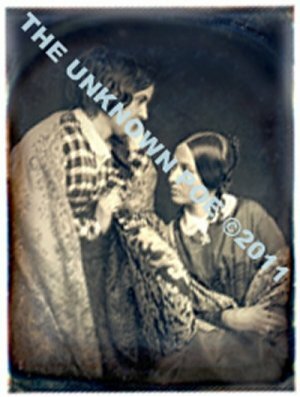 Is this beautiful daguerreotype really Virginia Clemm Poe?? You decide! The Deathbed Portrait of Virginia Story - It's nonsensical to think that Poe waited until his wife died to have her portrait taken! It's equally absurd to think that an amateur artist painting the complex watercolor deathbed portrait. We've found a stunning portrait that proves that it was Felix O.C. Darley who painted the deathbed portrait of Virginia Poe! New Insight into Poe's Mysterious Appearance in Baltimore at the Time of His Death - When Poe was found near death in Baltimore, he was supposedly wearing rags and a torn old straw hat. Was this true, or was it a sick hoax at Poe's expense? We think it was a hoax. Poe's friend, Felix Darley, had been drawing Poe in rags and carrying a torn straw hat, in a series of famous pictures that were all over Baltimore months prior to Poe's death! Were these "reports" by Snodgrass and Moran merely a twisted in-joke? That's what we think. See these great illustrations and judge for yourself! 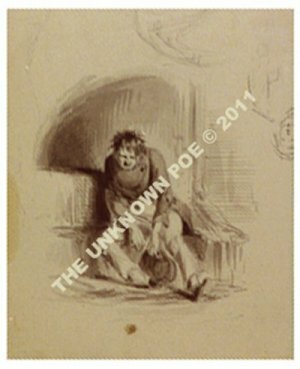 Edgar Allan Poe: The Illustrated Man - Poe is now the most recognized writer in the world, along with Shakespeare! Why? Because we've been looking at him for over 150 years, that's why! Poe's likeness was used on book covers, in magazines, in book illustrations, during his lifetime and with his encouragement! This show presents over 40 new images of Edgar Allan Poe, in comedies, dramas and gothic horror! The Rembrandt Peale Portrait of Edgar Allan Poe - For over a hundred years there have been persistent rumors that the great Rembrandt Peale, one of the finest portrait painters of the 19th century, painted Poe. The portrait of Poe by R. Peale we've discovered has been sitting in an art museum for decades unnoticed. This is the first life portrait of Poe discovered in the 20th century. It is also the first sympathetic portrait of Poe ever taken by an artist. The personal inscription from Rembrandt Peale to Poe is almost as exciting a find as the portrait itself! This will be too exciting to miss! Please join us!